These life sized sculptures are based on Jim Henson’s The Dark Crystal. 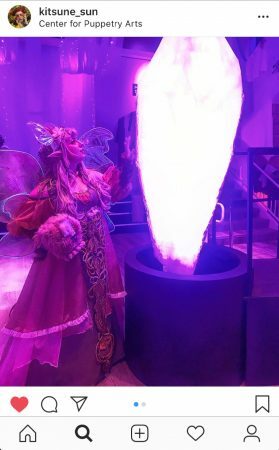 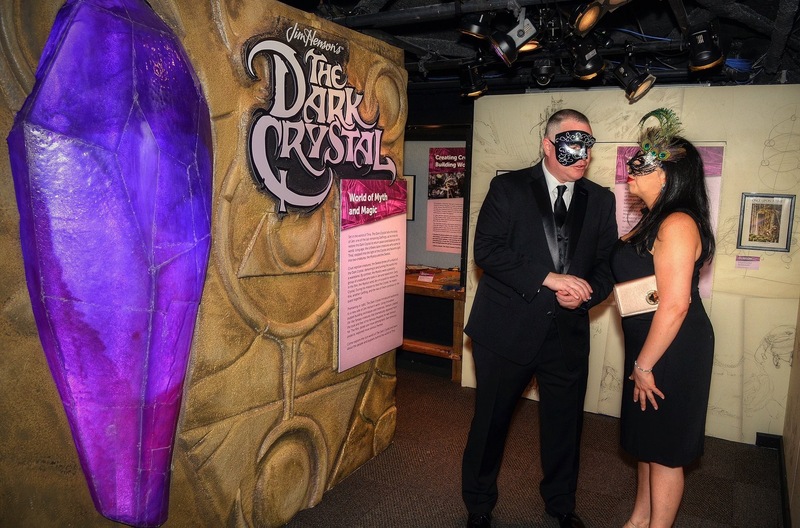 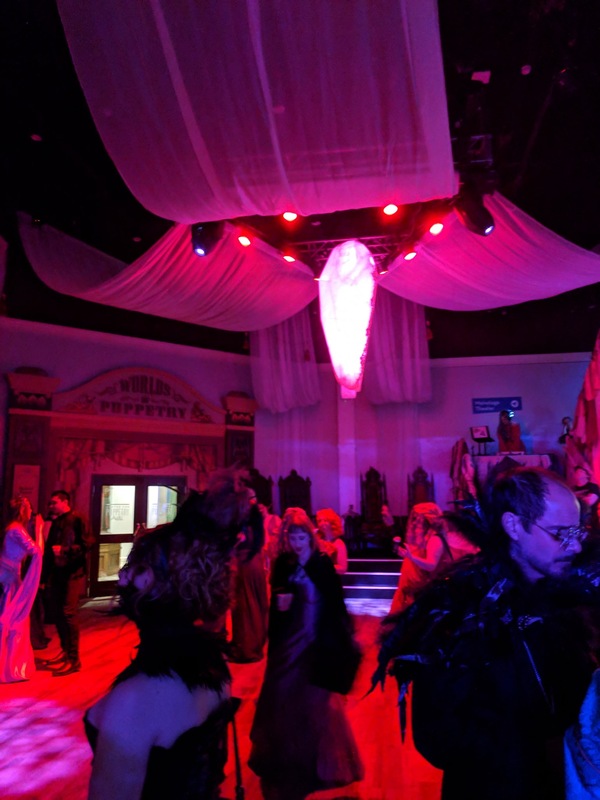 I worked on a team at the Center for Puppetry Arts led by Jeremy Villines to fabricate two and a half crystals for the exhibit and opening ball. 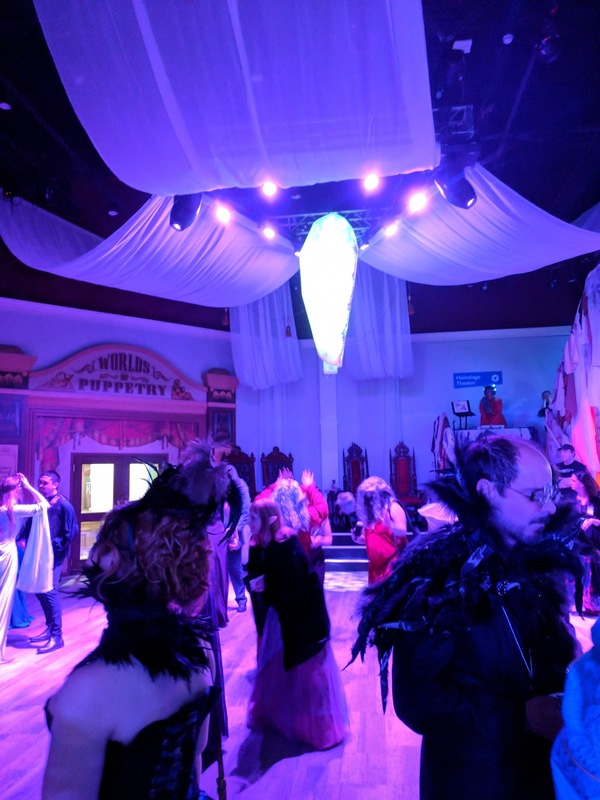 The exhibit features restored puppets from the film, many of which have never been displayed before. 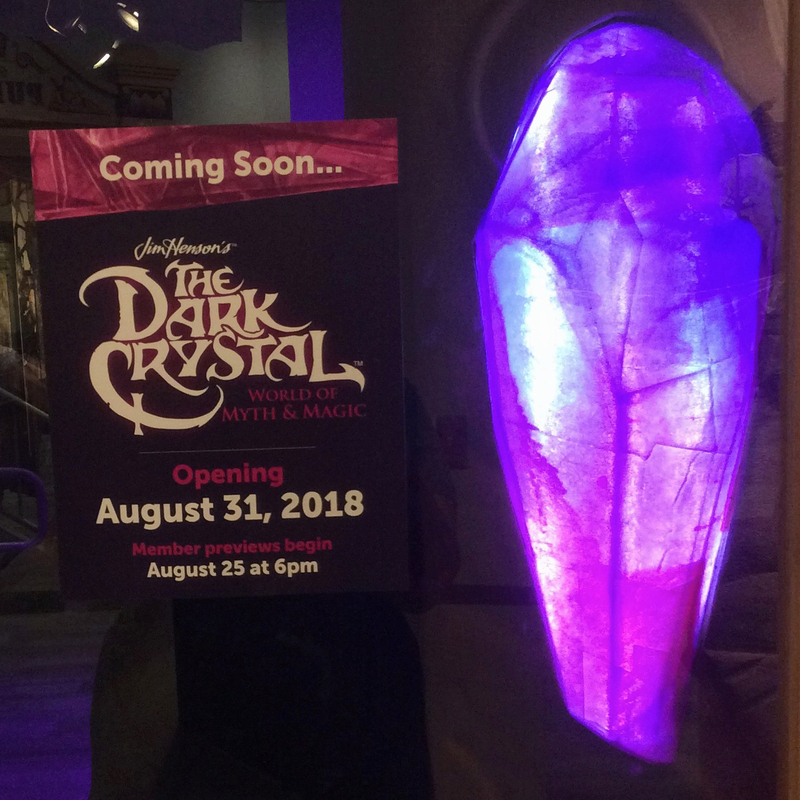 The half crystal is embedded in the title wall of the exhibit. 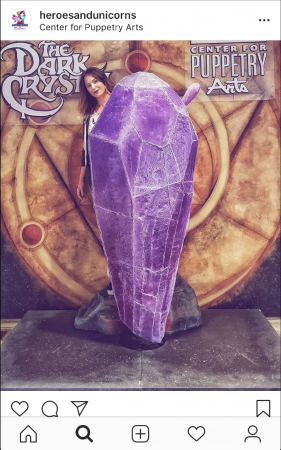 One of the full crystals is installed as a photo op at the entrance of the CPA. 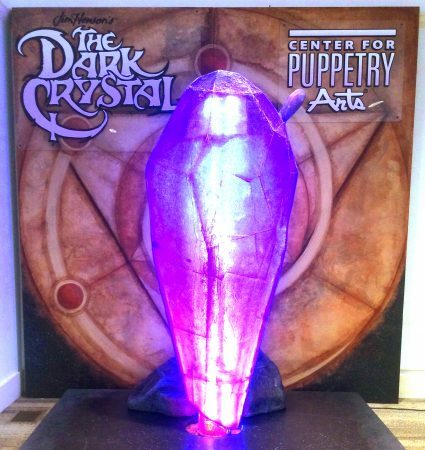 The second full crystal was used as a disco light for the ball. 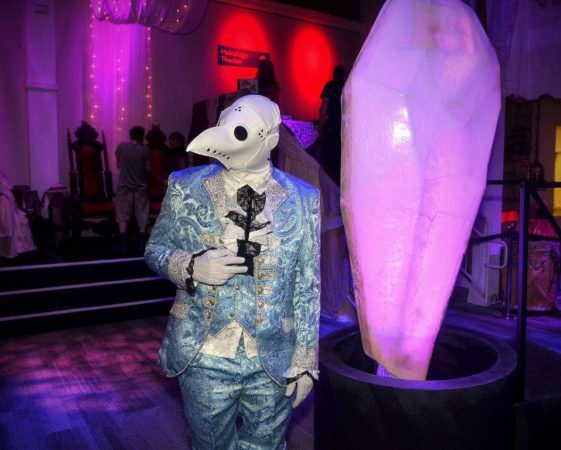 My part of the project was sculpting, molding, and casting. I was given a two dimensional design of the crystal that I converted into a three dimensional pattern. 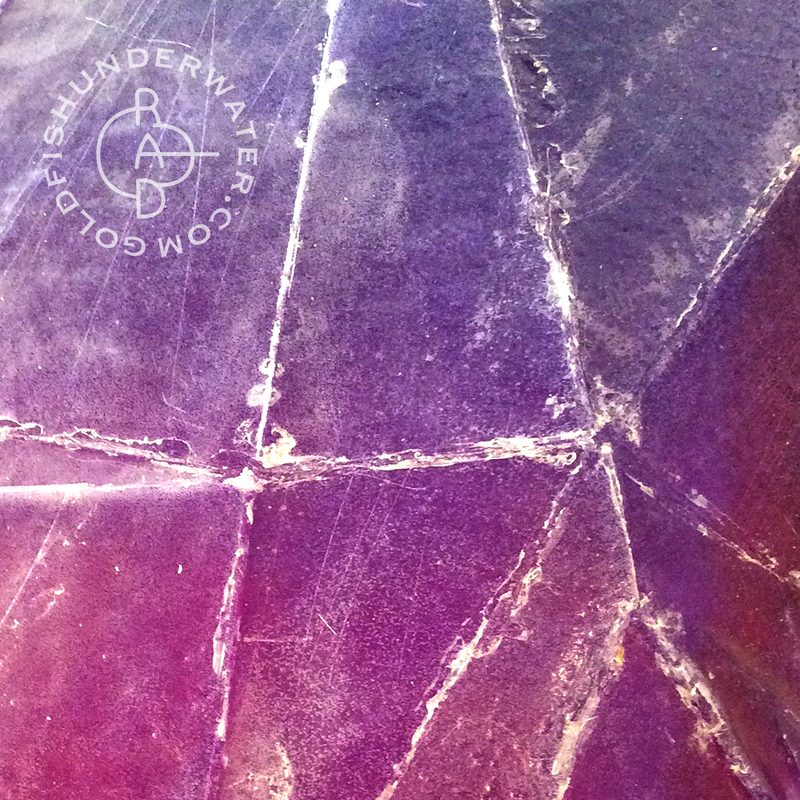 I built molds for the front and back and cast the colors in layers. 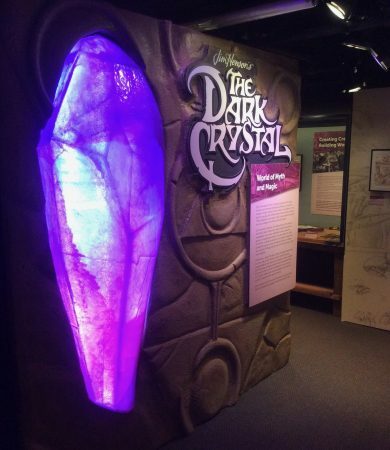 The disco light crystal was cast translucent white and lined with color changing LEDs.